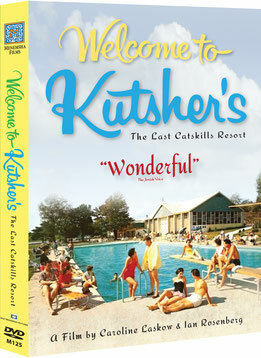 Buy the DVD of Welcome to Kutsher's on Amazon by clicking here. Buy the DVD at Barnes & Noble in select stores and by clicking here. Buy the DVD at Target by clicking here. Download the film on iTunes by clicking here. Watch the film on Amazon Instant Video by clicking here. Rent or Buy the film on Google Play by clicking here. Rent or Own the film on VUDU by clicking here. Cable-On-Demand viewing is available on your TV via Comcast Xfinity; Time Warner Cable; AT&T U-verse; & Cox through 2015.